Get rid of sniper free Wednesday? Post subject: Re: Get rid of sniper free Wednesday? Everyone has a class they dislike the most. It's a shame such an issue has to be made about it and so often. I think it's just a consequence of a competitive game... I don't think there are issues, at least I've not tried to make an "issue" out of it. You'll probably notice despite the engineer slot reduction crusade, I'm still around, still playing and yes, still complaining. 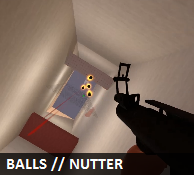 Also, when sniper free Wednesday was introduced there was more nutters around. That certainly isn't the case now, especially not on a regular basis anyway. Last night was a Typical Sniper hogging example 3 out of the four snipers slots where the same person from start to finish. I played Sniper for probably a couple of hours last night but honestly, I know that as soon as I change class someone will take the slot, so gotta make the most of having the slot. Cant believe the vote..lol life is strange ..stranger that i voted to keep it sniper free on wed. I have asked Parva several times is there any thing out there that allows players to stay in the same slot for a set time only and sadly there does not appear to be. My comment was not to have a go at snipers "em" for that night it was to point out re the same folk night after night and not allowing others to use/try a turn.